Computer Gaming World Comments and Highlights: Mid-winter: perfect for gaming and time for a C.E.S. report. 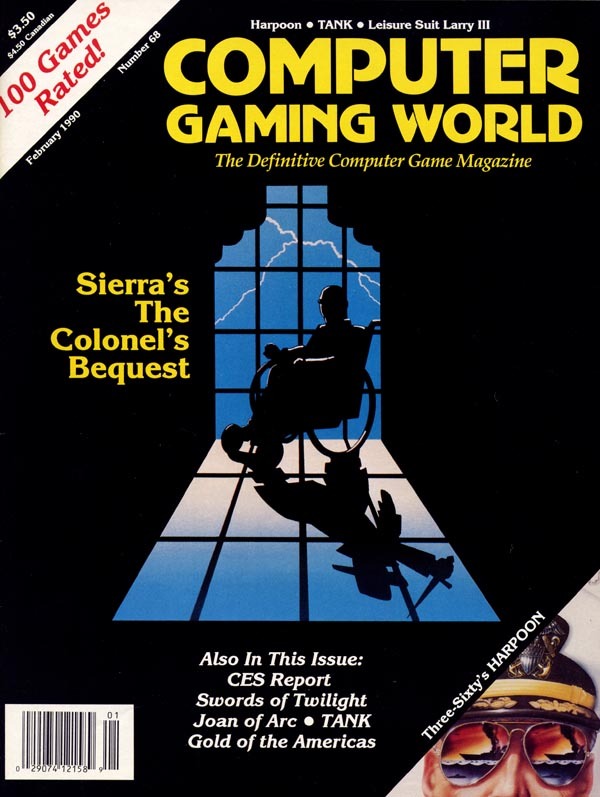 Also: the long-awaited Harpoon, Roberta Williams� The Colonel Bequest, and Broderbund�s Joan of Arc were reviewed. Scorpia offered hints for Leisure Suit Larry III.